Apollo 11 command module pilot Michael Collins will be the featured guest as EAA AirVenture Oshkosh 2019 commemorates the 50th anniversary of the Apollo 11 mission, which in July 1969 marked the first time men landed on the moon and returned safely. EAA AirVenture Oshkosh 2019, the 67th annual Experimental Aircraft Association fly-in convention, is July 22-28 at Wittman Regional Airport in Oshkosh, Wisconsin. 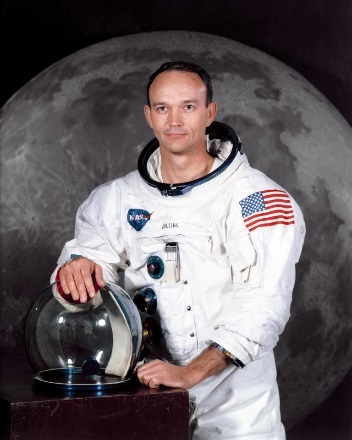 Collins will be will be joined by fellow Apollo astronaut Joe Engle during the evening program at Theater in the Woods on Friday, July 26, hosted by four-time space shuttle astronaut Charlie Precourt. The program will highlight the millions of man-hours and hundreds of thousands of people who made the first manned moon landing possible. Collins, mission commander Neil Armstrong, and lunar module pilot Buzz Aldrin departed then-Cape Kennedy, Florida, on July 16, 1969, as the famed Saturn V rocket lifted the trio into space. On July 20, the lunar module landed on the moon’s surface, with the first human steps by Armstrong and Aldrin on the surface a few hours later. Apollo 11 made a successful splashdown in the Pacific Ocean on July 24, 1969. Collins’ NASA career began in 1963 as part of the third group of astronauts selected. His first space flight was aboard the Gemini 10 mission with John Young in 1966, when Collins became America’s third spacewalker. Prior to his career at NASA, he earned his college degree at West Point and built flight time in U.S. Air Force F-86 Sabres at Nellis Air Force Base in Nevada, as well as serving at George Air Force Base and Edwards Air Force Base in California. After leaving NASA in 1970, Collins joined the Smithsonian Institution for 10 years, serving for seven years as director of the Smithsonian’s National Air and Space Museum. He has also written numerous books, including 1974’s Carrying the Fire, highlighting his time in the space program.